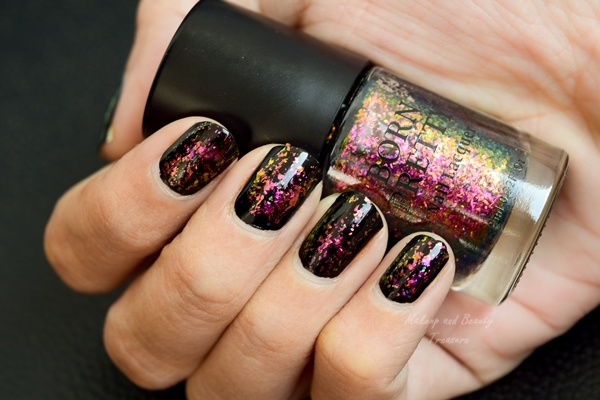 If you remember, I did a review on Born Pretty Nail Polish in Fiery Love on my blog! I would highly recommend all nail polish lovers to check Born Pretty Chameleon Nail Polishes. They are super glamorous and I can't wait to order more from this range! They are literally a good substitute for nail arts! Today I am going to review Born Pretty Violet Galaxy Chameleon Nail Polish! I already did a detailed post about this range of nail polishes and you can read my post HERE! This time I ordered the shade 'Violet Galaxy' which is a clear nail polish with various flecks of pink, golden and green colors! 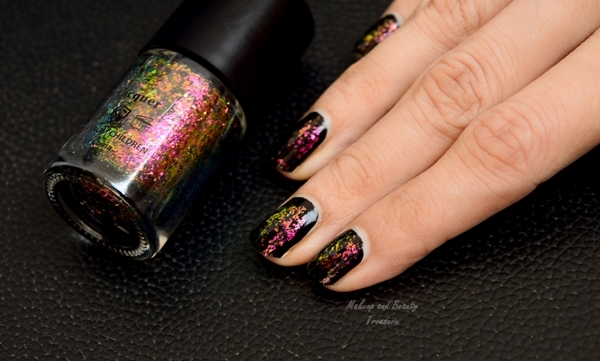 The finish reminds me of holographic nail polish and nail art foil! 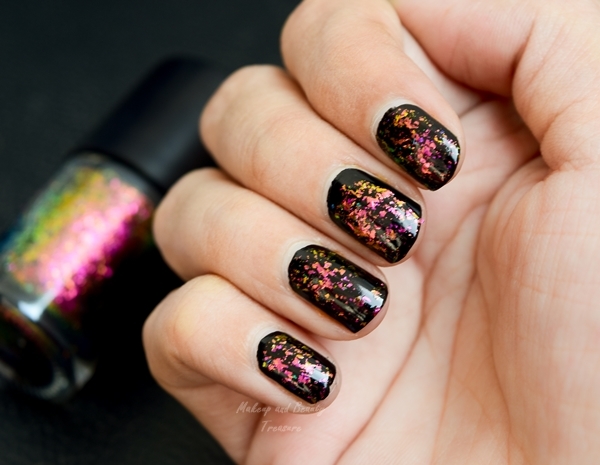 I apply it over black nail polish to get that gorgeous effect! If you are looking for a nail polish for this festive season then you must check out this range! The nail polish stays put on my nails for a week with a top coat on! I get loads of compliments whenever I wear it! Did you like Chameleon nail polishes? Its very safe to shop from born pretty! I have shopped from them many times!